Imagine a scenario where you wake up early in the morning, have your bath and get dressed up for work. Then 20 minutes before you leave home you check for your wallet and couldn’t find it. You check your suitcase but couldn’t find it. You check your dresser drawer in the bedroom: nothing. Imagine how embarrassing and frustrating it can be. Balls of sweat would begin to roll over your forehead leaving you worried about how to find your wallet at home. Since we all misplace objects one time or the other, variations of this scenario occur every day. 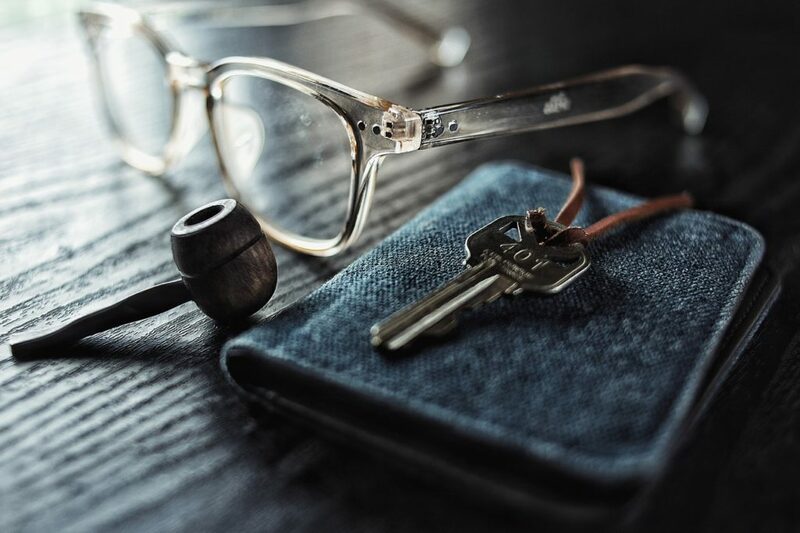 However, there are a lot of tips you can follow to find your misplaced wallet at home and that is what this article is all about. Consulting this article could help you get back that misplaced precious wallet of yours. This is the first step you should take when looking for your wallet at home. You know why? It helps cool your brain and also calm you down. When you are frustrated your hearts begin to pound faster, so taking slow breaths might be all you need to calm down and concentrate. If you can zero or clear your racing mind, you will be able to focus well. No doubt, your mind will be clouded with different thoughts like “I am running late”, “All my cash is inside” and much more. Knocking all these thoughts out could be very helpful in finding your wallet. Confidence goes a long way in helping you achieve the needed success. Believe you can find It and you will gain the energy needed. Once you have taken deep breaths and blanked out your mind, you can easily think of the last time you saw the wallet. Is it when you got home the previous day? Or when you wanted to sleep or when you were eating the previous night? Just try and ask yourself when you last saw it. This will give you a clue on where to check. Trying to repeat everything you did after the last time you saw it could be helpful. This step might sound difficult but it is easy. All you need to do is to think of all your actions when you saw the wallet last. Then try doing the same thing again till you get to the last point you could remember seeing it. Most of the time, we all have a routine where we keep our wallet. It might be inside the briefcase, dresser drawer, on the table inside the sitting room, on the dining table, the last cloth we wore and much more. Since you know where you usually keep your wallet whenever you get home, go there and check slowly. Why not anxiously? – You might miss it when searching with anxiety. Always remember, take slow breaths and blank out your mind. After slowly checking where the object should normally be and exhausted the places then you can move to areas where you don’t normally keep the wallet but it could be. You can check places like your bathroom, balcony, kitchen slab, freezer, dining room, TV shelf, entrance door and much more. In short, check places you visit often in the house. There are times when you keep your wallet at a usual place but your kids or partner or friends might change the position. This can happen when your kids are playing around the area, your partner is doing some clean ups or looking for something else. Additionally, your friends might decide to pick something from it and then change the location of your wallet. The best thing you can do after using up all the options above is to ask each of them if they help you see your wallet around. This is another very good tip. Take a moment to divide the room into sections and clean up each section by replacing the objects there. If you move something you will be able to clearly see the area. Take one section at a time until you are able to touch all the sections. No doubt, we all have hidden places in our room or house- such as under the bed, back of the bed, under the couch, in the kitchen cabinet, under the wardrobe, and much more. This might look odd but it could be effective. You might have mistakenly kicked the wallet while half asleep and working around. Furthermore, there are some additional tips that can help you find your wallet easily anytime you need it. Keeping your wallet in your work briefcase can also help save you a headache of looking for your wallet. Using a tracking device, like TrackR, in your wallet can give you the chance to easily locate your wallet. All you need to do is to ring the device using the TrackR app. In few words, above are tips on how to find your wallet at home. 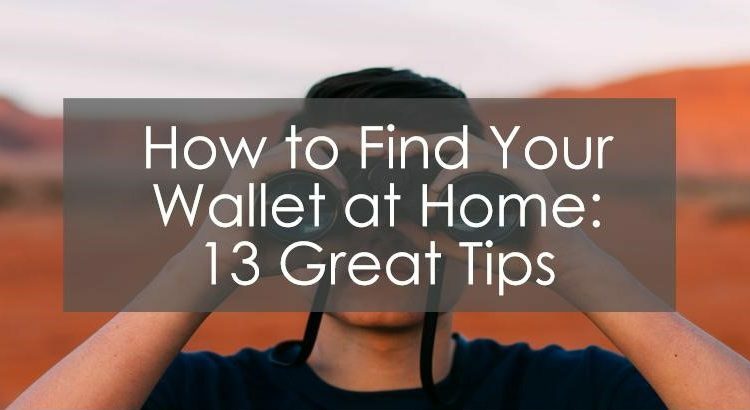 No doubt, it is possible you don’t find the wallet after putting these tips to practice but it would help you calm down and make your search fruitful. If you couldn’t find it, then your search might have to take another dimension because the wallet might have been truly stolen or lost. Nevertheless, if you are sure of truly misplacing it in the house, the tips are the best chance of finding the Wallet.